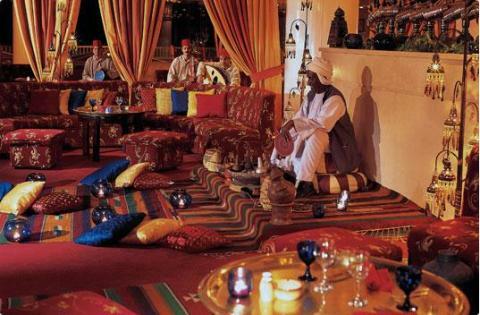 The Ritz Carlton, Sharm El Sheikh is the crossroads of Africa and Asia where the mountains meet the sea. It reflects a warm, friendly, fun and relaxed ambiance with its lush gardens, beach, house reef, sparkling pools, cascading waterfalls, a duck pond and a lazy river. It offers 321 well-appointed guest rooms, including 35 suites; a dive center, an Arabian massage tent overlooking the Red Sea; a choice of dining outlets including Italian, Lebanese and Japanese specialty restaurants; state-of-the-art fitness center, fusion spa treatments from Asia, Europe and the Pharaonic era; business services.